The Nigeria Music Industry witnessed a thorough change after 8 straight years of dominance between two artists, Wizkid and Davido. 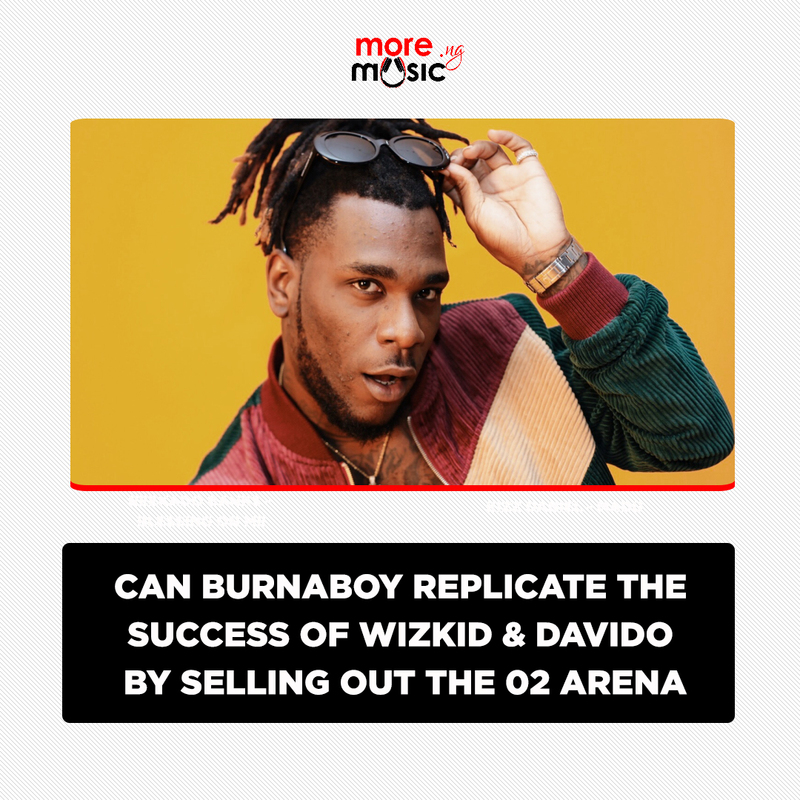 But the case was different in 2018 as the Afro-Pop Star Burna Boy changed the game with a lot of his music. Although the “Ye” Crooner Burna Boy has recorded various hit singles to his brand and also murdered different collabo but 2018 was the biggest year in his career as he won the biggest awards like Song Of The Year and Artist Of The Year at the Sound City Viewer’s Choice Award. However, some music critics have been of the opinion that he can’t maintain his current status for long revealing that he still has a lot of work to do. He does not have the fan base compared to Wizkid and Davido, they said. They further argue that he can’t even replicate the success of Davido and Wizkid by selling out the O2 Arena. We decide to throw it out to Burna Boy’s Die Hard Fans, Can Burna Boy sell out the 02 Arena?